In one of the few, enduring success stories in BizAv, the Gulfstream program continues to develop and innovate new airframes that they seem to have comparatively little trouble selling (at last as compared to much of the rest of the industry). 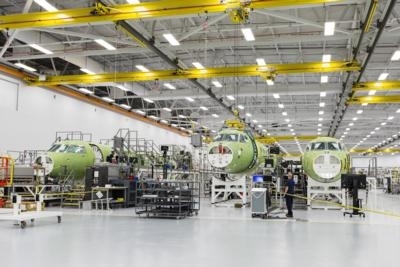 Indicative of this fact is the the announcement just received from Gulfstream Aerospace as the Gulfstream G600 has completed its first flight, officially kicking off the aircraft’s flight-test program. 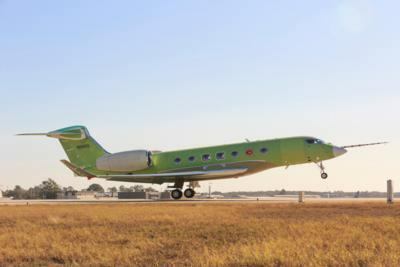 Two additional G600 test aircraft have been inducted into the flight-test center in anticipation of their flights early next year. The G600 has been designed with input from customers to ensure an unparalleled passenger experience. It has the longest cabin in its class, satellite communications and high-speed internet and can accommodate up to four living areas to create distinct yet flexible spaces for work, entertainment, dining and rest. Fourteen panoramic windows, a low cabin altitude and 100 percent fresh air contribute to the superior cabin environment, helping passengers feel refreshed and rested upon arrival. 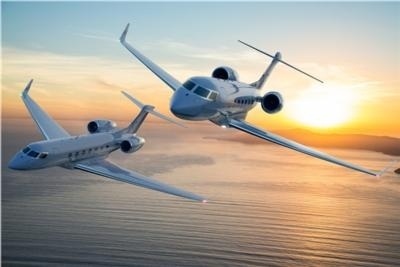 The G600 can travel 6,200 nautical miles at Mach 0.85 and 4,800 nm at Mach 0.90, and its maximum operating speed is Mach 0.925, the same maximum speed as the flagship Gulfstream G650ER.